So, remind me. What was the big deal about these Tampa Bay Lighting? Three 40-goal scorers? So what? The goaltender who led the league in wins? Double whoopee. Yeah, these Lightning will always be remembered as being pretty spiffy by those who value regular season victories. But if your expectations include the playoffs, well, you can count the Bolts as one of history's biggest flops. In their final act, the Lightning was chased from the playoffs in four straight by a pedestrian Columbus Blue Jackets team. Tuesday's final defeat was 7-3, although that included two empty-net goals by Columbus. Still, it was an embarrassing result by a team that had been in the headlines with history for much of the season. The Bolts were outscored by Columbus 19-8 over the four-game series. Columbus scored two goals in the first 3:48 of the game. The Lightning fought back to tie the game at 3-3, but 54 seconds later, the Jackets scored the go-ahead goal. Columbus added three empty-net goals over the final 1:53 of the game for the 7-3 final. 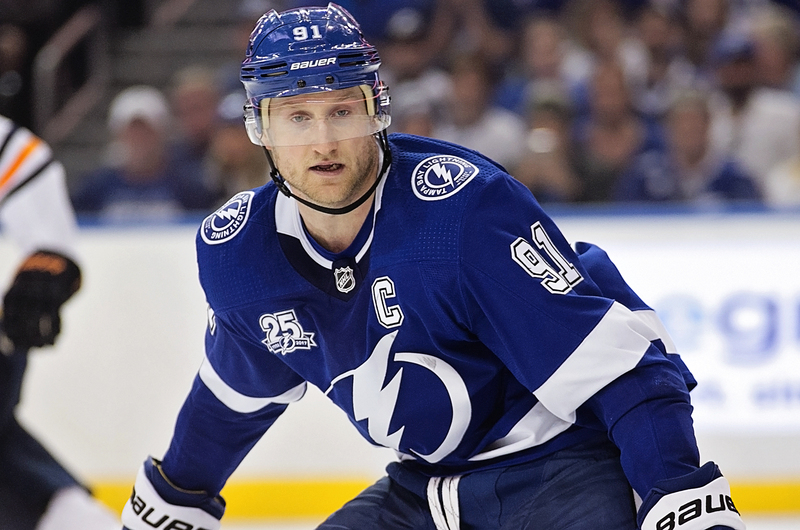 Steven Stamkos didn't want to talk about the good regular season. “We lost in the playoffs," he said. "If you don’t accomplish your goal of winning it all, it’s a failure. We don’t care about what happened in the regular season. We wanted to come in and play well. In the first game, we executed the game plan, get out to a lead and then we couldn’t gain any momentum after that game. We pushed. We didn’t defend well enough as a team in that series. What went wrong? What didn't? Stamkos, Nikita Kucherov and Brayden Point scored their first points of the series. The penalty kill didn't play well. The defense didn't play well. Cooper also wondered if the Bolts didn't face enough adversity along the way. Said Ryan Callahan: "They outplayed us in a lot of aspects of that game and for the whole series. Probably did a lot better tonight, bounce here, bounce there may have been a different game. But at the end of the day, it wasn’t good enough top to bottom from our team. Very structured team over there playing to their systems and didn’t waiver and outplayed us for four games. The blue jackets were hungrier. They were faster to all the pucks, better on the face offs, and dominated the Bolts on special teams. Tampa’s core players all got FAT contracts the last few years and it shows, they are not hungry anymore. They are OK with complacency, how do you fix that? Columbus was hangry and Tampa let them take the game away from them. I think that’s the easy answer. They were making the same money in the regular season, and they were much hell. I agree that Columbus was hungrier. 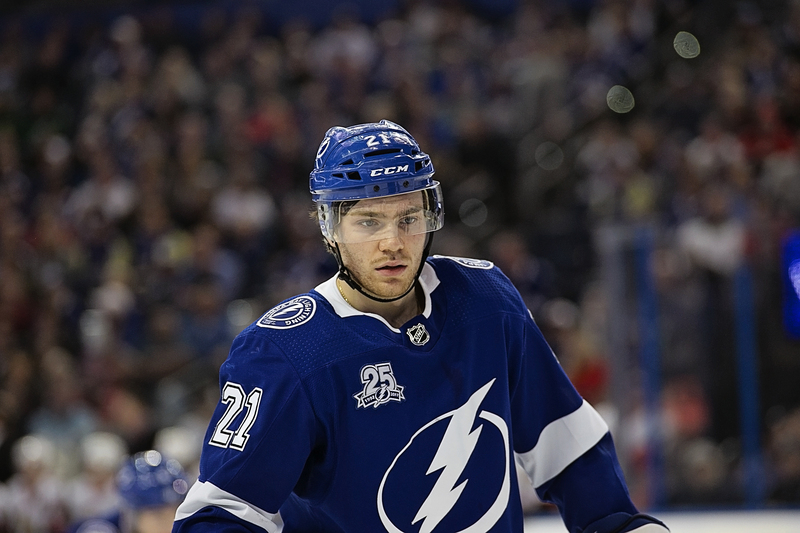 So will someone in the Lightning front office finally realize that building a team of skill is great for the regular season but means nothing in the playoffs unless you can balance that skill with toughness, nastiness and brute strength? Will the coaching staff ever learn the game is totally different in the playoffs and adjustments must be made? This Lightning team of skill is littered with guys who play soft and can’t compete against the MMA- style of play required in the post season. The historic, total and complete team collapse we witnessed against the CBJ surprised everyone but the fact that the Lightning did not win the Stanley Cup should surprise no one. The Lightning aren’t built for the post season and until significant changes are made they never will win a Cup. Now we know why the Rangers gave up on all those guys the Lightning scooped up in trades. Did any of them show up in the playoffs? Finally, we found out who really is the best coach in Lighting history and it’s not the current coach. A lot of hard lessons were learned in this series. For the fans we learned this Lightning team can never be trusted again. If you are looking for entertainment this team will give it to you in the regular season. But if you are rooting for a team that can win a championship, this team will disappoint you every time. It’s hard to blame anyone for being disappointed in this team, no matter how much they are. I’ve agreed before the Bolts need to be more physical, but I don’t think that’s what beat them this series. The Blue Jackets were hungrier and more focused, and the big guns of the Lightning — Stamos, Kucherov, Vasilevskiy, Point, Hedman never showed up. Shame on you Bolts! We expected more! You set us up with high hopes! And the let down really hurts. No excuse will be enough to explain away the disappointment. Sorry guys, you don’t even get a nice try from me. As tries go, it wasn’t nice.